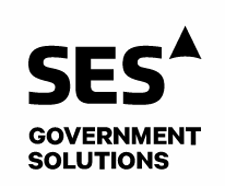 SES Government Solutions (SES GS), a wholly owned subsidiary of SES, has signed a five-year task order with the U.S. Department of Defense (DoD). Under this agreement, an additional satellite beam will enable access to real-time information for better-informed, life-saving decisions in the field for key U.S. Government end-users. The additional connectivity will be provided via SES’s Medium Earth Orbit (MEO) O3b fleet as part of a high throughput, low latency satellite communications solution SES GS is providing to the U.S. DoD. Operational benefits of the solution include the capability to transfer large files from remote locations in just minutes instead of hours. Cloud-based applications and information can be used anywhere in the service area. End-users will be able to view simultaneous High Definition videos providing situational awareness to commanders. The solution includes an additional 432 MHz satellite beam operating at less than 200 milliseconds roundtrip, a full duplex link, gateway access, transportable 2.4m AvL terminals, terrestrial backhaul, installation services and 24/7/365 operations and maintenance activities. Pete Hoene, the President and CEO at SES Government Solutions, noted that last year SES GS won the first MEO-enabled satellite connectivity contract for the DoD and the company has been supporting the U.S. Government mission partner every step of the way since. The customer has been very pleased with the service the extended SES Networks team has provided, hence the desire to proceed with an additional beam.